After publishing the wildly popular Nudge in 2008, Thaler’s theories about how ‘people depart from rationality in consistent ways’ began to change how businesses and policymakers approached economics. Often presented to the public as relatable, dinner-friendly anecdotes, Thaler’s work incorporating behavioural science has helped organisations serve people better by welcoming the irrational. In light of Richard Thaler winning the Nobel Prize in economics, we explore how behavioural economics is being applied to everyday life. 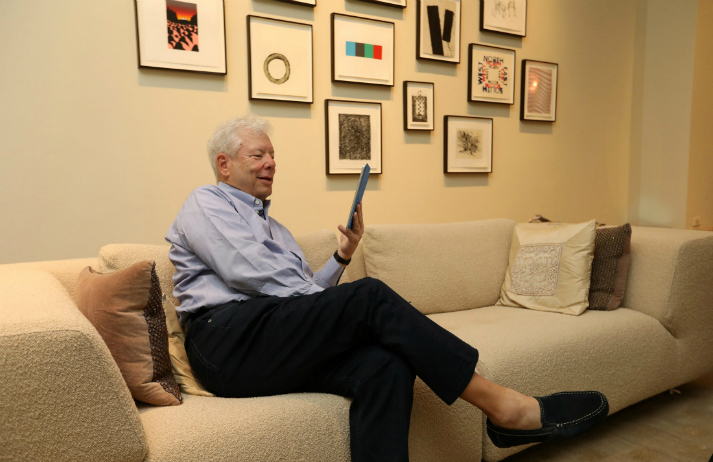 “In order to do good economics, you have to keep in mind that people are human,” said Thaler after the Nobel announcement. In addition to influencing thousands of businesses worldwide, his crowning achievement saw the American and British governments create behavioural science teams to discover how to encourage – rather than penalise – people to participate fruitfully in society. “More and more, we find that people make decisions emotionally and justify them rationally,” said Canvas8 CEO Nick Morris in an interview with Rory Sutherland, founder of Ogilvy Change. Everything from weather to politics shapes the smallest of human decisions, and at Canvas8 we regularly explore how Thaler’s principles have improved society, examining the ways brands are implementing ‘nudge’ tactics – whether that’s using contactless payments to make giving to charity easy, or understanding why people like splashing out on all-inclusive holidays. Alex Quicho is the Americas editor at Canvas8, which specialises in behavioural insights and consumer research. Born in Boston and raised in Manila, she’s a writer and cultural researcher, with an interest in identity, futures, and soft power in art and design. For the inside track on our latest insight sign-up below. The Canvas8 Library is a unique digital intelligence resource for our members. Canvas8 membership offers unlimited access to our unparalleled library of research. With more than 20,000 authoritative articles and expert insight spanning across five continents and twelve sectors, the Canvas8 Library helps our members stay ahead of the curve. How do you solve a problem with nudges? How can lollipops, ‘wizards’ and dog shows help bring communities together and fight criminal or disruptive behaviour? Canvas8 spoke with Stevyn Colgan, author of Why Did the Policeman Cross the Road? and Nudgestock speaker, to find out how you can nudge people to solve a problem. What’s the cost of inertia? Signing up to a gym is a positive step to improve your physical health. But if you don’t follow through, that monthly payment, along with other unnecessary direct debits, can leave you ailing financially. Though these costs may be acknowledged, what stops people taking action to save some money? From the IPA’s Behavioural Economics Initiative to the UK government’s ‘Nudge Unit’, a new grasp of emotionally-led behaviour is revealing powerful consumer insights. Rory Sutherland and Nick Morris discuss how behavioural economics is leading marketers to new creative heights. How many cigarettes do you smoke? How long have you owned your smartphone? Honesty may be the best policy, but many people scrimp when it comes to insurance. Lemonade is a fintech platform that aims to inspire trust from both the insurer and customer through behavioural economics. Canvas8 works at the intersection of commercial understanding, behavioural science and popular culture to better understand and track human behaviour. We are passionate about we do and confident that our approach will transform the way you apply consumer insights. Try us on a trial basis to discover more.